The mass casualty response kit is designed to provide immediate aid for victims of a mass casualty event such as natural disasters, multi-vehicle accidents, Industrial Accidents, or Shootings. The kit is designed to be easily stored and transported and to be used by personal with limited training. The items in the kit are the same as used by Military and EMS personal to deal with life threatening traumas and are intended to stabilize victims while EMS responds to the event. The heart of the kit is the CRK sub-load that has the tool needed to render immediate aid and stanch life threatening blood loss. 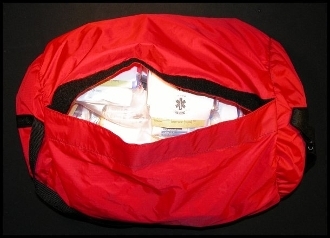 Each kit also contains additional items to help deal with more sever injuries as well as to help establish a triage and casualty collection points so that victims can be treated faster when EMS personal arrive at the scene.